His work has been featured in Architectural Digest, Elle Décor, House & Garden, Vogue, Maison & Jardin, W, New York Times Magazine, Harper’s Bazaar, among others. His Bedford residence is included in Dominic Bradbury’s, American Designers at Home, and HGTV’s, ‘Top 10 Most Beautiful Homes’. 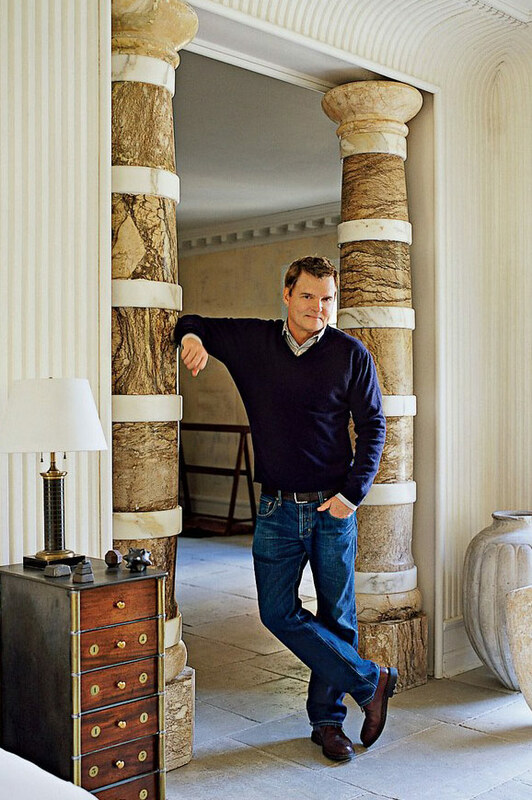 He is included in Elle Décor’s, ‘A-List’ of the Top 25 Designers and is a member of Architectural Digest’s AD100 – included as one of their ’30 Deans of American Design’. In October of 2013, Stephen Sills Decoration, his long awaited monograph providing a glimpse into some of his most thoughtfully composed interiors was received to enormous acclaim. Stephen’s goal for each project is to have one overall vision that encompasses all aspects of the project: exterior and interior architecture, exterior and interior lighting and landscape design, in addition to the interior design. Stephen Sills Associates is very involved in each of these aspects of their projects including architectural detailing, material selections, and site positioning. Current projects include: beachfront estates in Naples, Florida and Southampton, New York; two apartments in Miami; the conversion of two pre-war buildings in Manhattan to luxury co-ops; the Chevalier Restaurant and two private residences in the Baccarat Hotel.